With the sheer volume and range of attractions in Berlin, you could stay here for 6 months and never get bored. If you have less time and want to know which are the must-see Berlin attractions, My Guide Berlin can help. Berlin has around 175 museums, 50 theatres, as well as countless historical monuments, memorial religious buildings, parks and gardens, zoos. 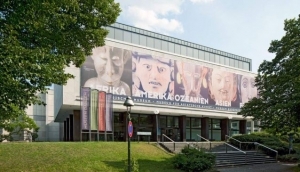 Well known attractions like the Brandenburger Tor, the Fernsehturm, and the UNSECO world heritage listed Museum Island are located around the corner from many quirky galleries, museums and theatres. My Guide Berlin is your guide to the best attractions that the city of Berlin has to offer.